Our goal is to place children for adoption with loving families while simplifying and reducing the expense and heartache commonly involved with the process. Our unique adoption services are rooted in a deep understanding of adoption laws and our commitment to improving the lives of children around the world. 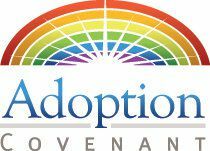 Adoption Covenant is a 501(c)(3) Charitable Organization, founded by Merinda Condra to offer a simpler, more effective alternative to typical adoption agencies. As an adoptive parent and a lawyer, Merinda has combined her care for children in need and her knowledge of the adoption process to offer the best adoption services possible. We invite you to learn about our mission, history, adoption team and some of the adoptive families we have had the privilege of serving. Our programs include international adoption, domestic adoption and Texas foster care adoption. We also offer international Homestudies and Homestudies in Texas. If adoption is on your heart, there is a program that is right for you. Are you pregnant looking for options—not wanting to face the situation? We will travel throughout Texas to help you make an adoption plan for your child and be there throughout the adoption process. Our services are confidential and we are here to help. Call toll free 888-741-0268. "Adoptive parents make true and lasting difference through children"
"For the Love of Emma"
Read "For the Love of Emma"